Exhibitions and trade shows are often packed with businesses or organisations attempting to promote their products and services. This makes them highly competitive environments, where the goal is to reach as many people as possible and stop them from going elsewhere for their needs. At Bravo Print, our experts can provide a range of modular exhibition systems and trade show displays that are eye-catching and informative. Our vibrant and colourful wide-format digital prints will help your trade show booth stand out from your competition. 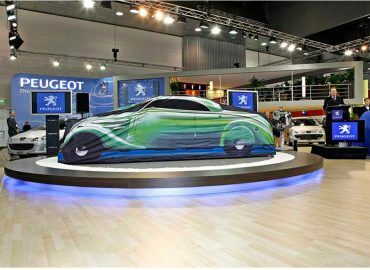 There are many reasons why you should choose Bravo Print for event exhibition and display solutions. We oversee every stage of the process, from conception and design through to printing and installation. We also continually invest in new technologies and have access to in-house equipment that allows for more cost-effective exhibition display system products. This includes large format digital fabric printing machines, format pressing machines, and more. Bravo Print is the number one destination for trade show displays, event display stands and other modular display solutions. Contact our specialists today by calling (03) 9769 1644, or send us a message via our simple online enquiry form.